A good cookbook is hard to find. Many recipes are too difficult to execute for real people (who actually has an espuma gun lying around? ), there aren’t enough photos (what’s even the point? ), or everything looks delicious but you never actually make any of it. Well, boys and girls, I present to you Who Wants Seconds, a fantabulous cookbook chock full of photos, drawings, and lots of great recipes. Author and caterer extraordinaire, Jennie Cook, has collected and created these recipes over many years, and my favorite part is that most people already have most of the ingredients in their pantries. Her recipes are budget friendly, vegan friendly, and food-lover friendly, spanning from breakfast all they way to desert. But before I get wrapped up in my obsession with this quirky cookbook, I’ll direct you here, to the January issue of Your Magazine. I’ve served as the Living Editor for Your Mag for a while now, and this piece is my last for the publication. With graduation and (dun, dun, dunnnn) real life in the immediate future, I’m focusing on finding a job and all that stuff. I hope you’ll read the magazine, or at least page 26, where you can learn more about Jennie and her book. 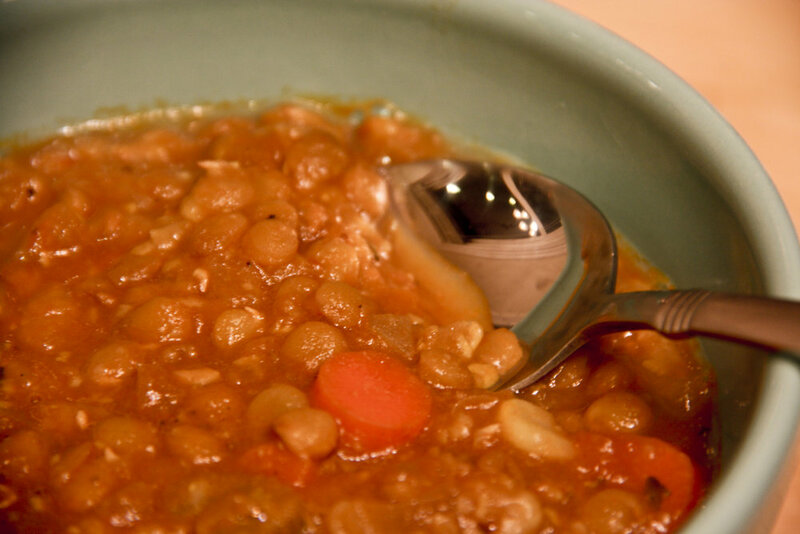 Below is the recipe for her Best Ever Lentil Soup, a hearty, cold-weather friendly soup that rivals any I’ve ever had before. Sorry Grandma! This soup has all the right flavors, and if you get your pantry stocked just right, you’ll only need to pick up a few things to bring it to life. I suggest serving it with some nice crusty bread and a tall glass of Porter or a full-bodied red. Heat olive oil in a soup pot and sauté onion, carrots, celery, garlic, bay leaves, thyme, coriander, and celery seed over medium heat until onions are soft and translucent for about 6 minutes. Add lentils, tomatoes, and broth and stir to combine. Increase heat to high and bring just to a boil. Reduce heat to low and simmer until lentils are tender, approximately 45 minutes, scraping the bottom of the pan with a wooden spoon in 10-minute intervals. Add corn purée and stir. Add salt, pepper, vinegar, and sugar. Taste and add more salt and pepper if desired. This is a thick, chunky soup; if you want it creamier, remove 4 cups, purée in a blender, and return to soup pot. 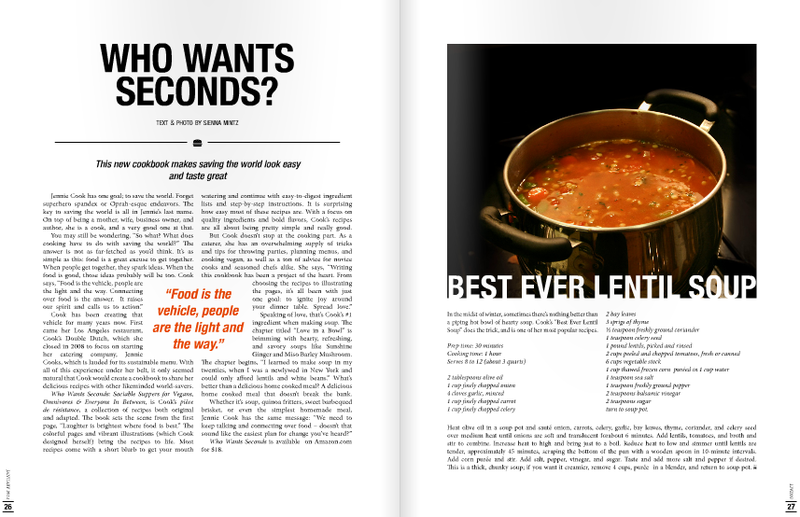 *This recipe appears exactly as is in Who Wants Seconds. Buy it here!